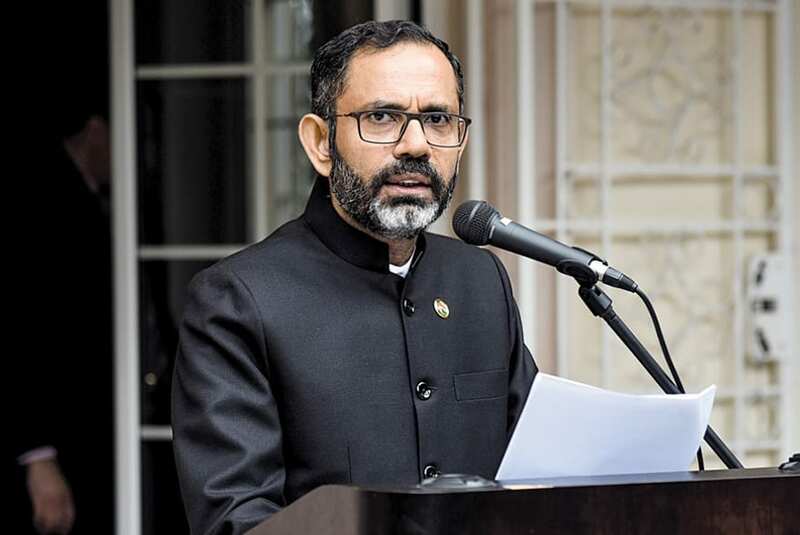 We spoke with newly appointed Indian Ambassador to Serbia H.E. Subrata Bhattacharjee about the new dimensions of the 70 years of friendship between our two countries. What could the new era of diplomatic relations between India and Serbia bring in the future? The visit of Vice President of India, H.E. M. Venkaiah Naidu, to Serbia this month was a visit from India at the level of Head of State (HOS) or Head of Government (HOG) after a gap of 29 years, with the previous visit being that of then Prime Minister of India Rajiv Gandhi in 1989. The January 2017 visit to India of Aleksandar Vučić, then Prime Minister of Serbia and now Serbian President, was also a landmark visit, as this represented the first visit from Serbia at the HOS/HOG level after a gap of 30 years. With these two visits, both countries have sent a clear message of the continuation of their old friendship, despite many changes in global geopolitics. In the 1980s, the world was still viewed as a bipolar world, while subsequent developments have changed that perception dramatically. Both India and Serbia introduced sweeping economic reforms, and the two countries still share common views on many major global issues. On the bilateral front, the economic content of the relationship has grown tremendously in recent years. The year 2018 is also a special year as it marks the 70th anniversary of the establishment of diplomatic relations between the two countries. What common political and economic goals could the two countries work on together? Vice President Naidu was received very warmly in Serbia. He had meetings with President Vučić, Prime Minister Brnabić and Spear Gojković. Vice President Naidu also addressed a Special Session of National Assembly of Serbia, where the first NAM Summit took place in 1961, and the very venue where then Prime Minister of India Nehru spoke. The visit of Vice President Naidu took place against the backdrop of a few recent Ministerial exchanges. Serbian Agriculture Minister Nedimović visited India in November 2017. This was followed by the visit of Serbian First Deputy Prime Minister & Foreign Minister Dačić in May this year. Our strong bilateral ties are likely to continue with regular exchanges at various levels. On an issue of crucial importance to Serbia, Vice President Naidu reassured Serbia of India’s principled support to the sovereignty and territorial integrity of Serbia. This will continue to be an important element in close cooperation between the two countries. Similarly, President Vučić assured India of Serbia’s support in the United Nations and other multilateral forums. Both countries are now looking more closely at each other’s economic strengths and working out strategies for mutual benefit. Since 2017, Serbia has participated in two major economic promotion events in India – the Vibrant Gujarat Summit 2017 and World Food India 2017. Indian companies understand the economic potential of Serbia and have invested in diverse sectors in Serbia, such as tractor manufacturing, IT infrastructure, food processing etc. How would you rate the success of the India- Serbia Business Forum? The Business Forum was a great success and was well attended, with more than 50 Serbian companies participating. The Indian delegation included leading entrepreneurs from apex bodies, such as the Confederation of Indian Industry, the Associated Chambers of Commerce & Industry of India, the PHD Chamber of Commerce & Industry and the Trade Promotion Council of India. The Indian delegates represented sectors like agriculture, infrastructure, IT, education, real estate, legal & financial services, manufacturing, sports tourism etc. Underlining the importance of including a business delegation in a high-level visit, Vice President Naidu reaffirmed India’s commitment to greater economic engagement with Serbia. President Vučić highlighted Serbia’s economic potential and invited Indian investors to Serbia. Serbia’s Free Trade Agreements with a number of countries makes it an appropriate manufacturing centre for duty-free access to these countries. As one of the world’ fastest-growing major economies, India could be an ideal partner for Serbia. Relaxing the Tax Burden on Enterprises: For Whom And How, If At All?